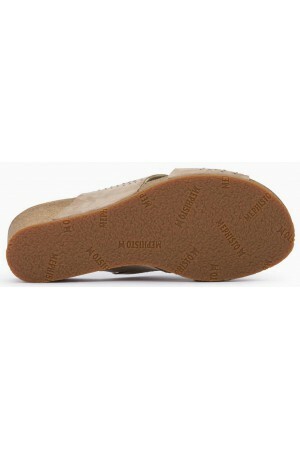 Women's sandals on a 4 cm wedge heel. 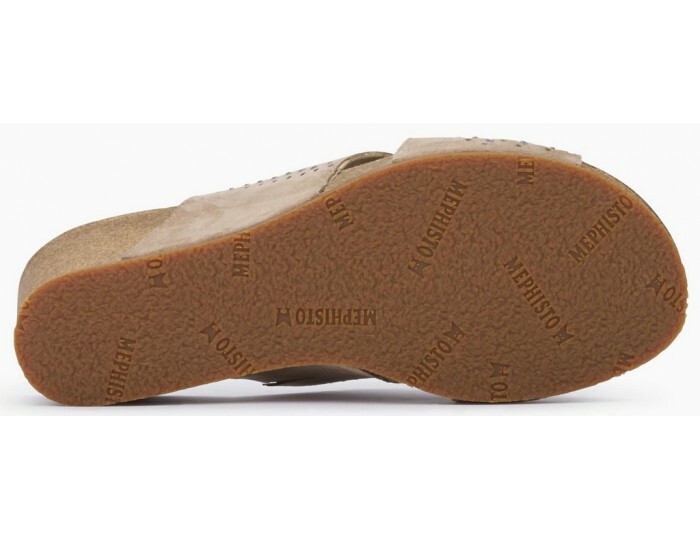 Footbed is made of cork. 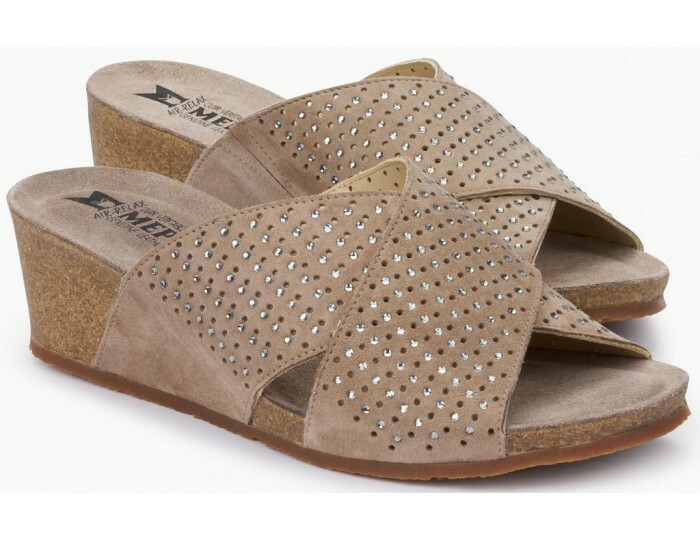 Made from soft suede and decorated with shiny stones. Lined with leather. 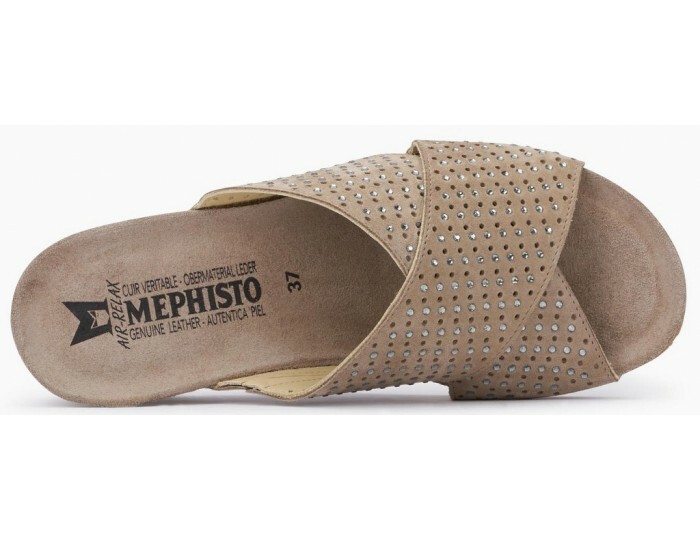 Mephisto has soft-air technology in the flexible cork and rubber sole, which guarantees optimum comfort. Normal width.